Designed by Jim Fern for the Dee and Spey, where the Willie Gunn needed to be a bit more attractive to the sea fairing athletes that travel up our rivers. Fantastic copper tube pattern should always be in your box and will be a good bet to get your rod bent. It has an extra dash of flash and sparkle that make it a very visible in stained waters. 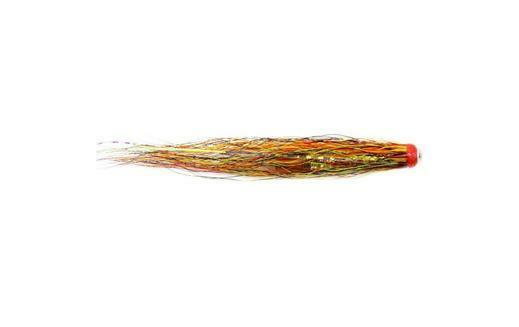 Currently there are no comments about the Fire Gunn fly pattern from other fly fishermen yet.